These tasty, crispy wings get fried just enough to brown, then get finished in an oven. The result is crispy, salty chicken wings that will be devoured in no time. Your only regret will be that you didn’t make enough! My gluten-free version tastes just as good as the original…you’ll never know the difference! In a separate bowl, combine the bread crumbs, flour, salt, pepper, oregano, basil, garlic, onion and paprika. Heat the oil in a pan until it reaches 350 degrees. One by one, carefully move the chicken from the milk mixture to the seasoning bowl and coat well with the seasonings, shaking off any excess. 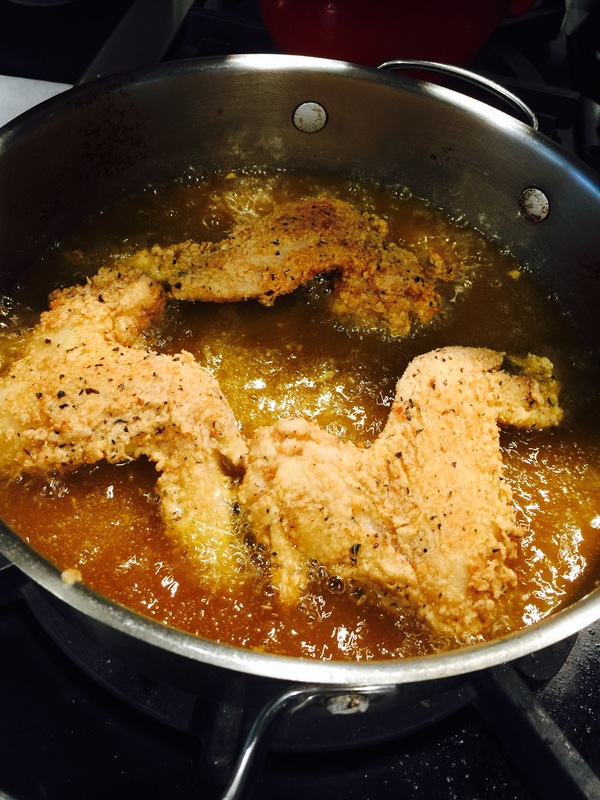 Gently place the wings in the oil and fry until both sides are golden, just a few minutes. (You’re not cooking the chicken, just making the skin crispy.) 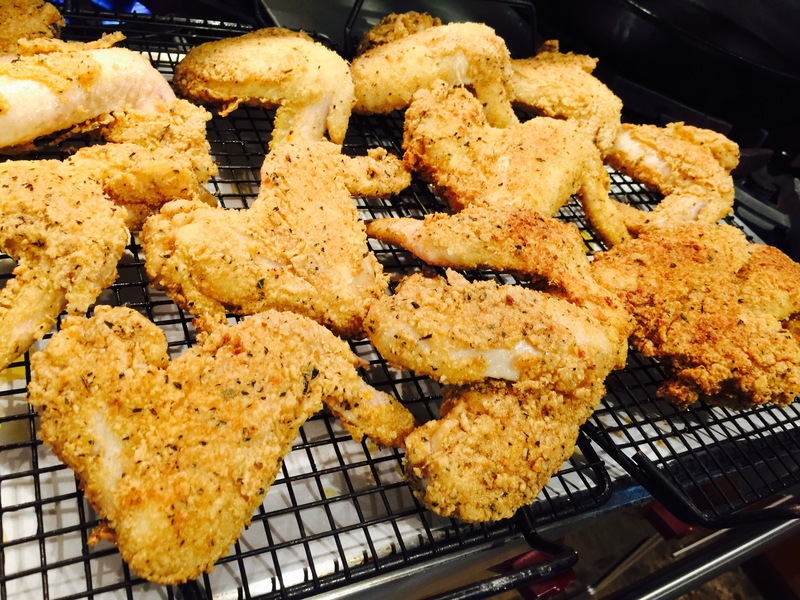 Place the fried chicken wings on a metal screen raised above a sheet pan lined with foil or parchment. Pre-heat the oven to 350 degrees, and when all the chicken has been fried and put on the sheet pan, place the pan in the oven and finish cooking, about 30 minutes.